In today’s world there are many important coins that coin collectors love to get their hands on. One of the most popular types of coins is the British gold sovereign. These are coins that came into existence about 500 years ago and continue to be produced today. But, it’s the beauty of the British Gold Sovereign and their interesting history that fascinates coin collectors. 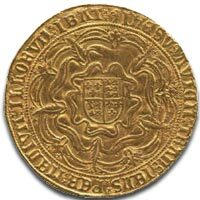 The British gold sovereign was first minted in 1489 to honor King Henry VII. When these coins were first produced they were 96% gold, which means they were 23 carats. However, Henry the VIII reduced the gold content to 92% or 22 carats and that’s still considered the gold standard (crown gold) today in both the United States and England. The actual weight of the British Gold Sovereign continued to be lowered more and more until it was locked in at just under a quarter of a Troy ounce (0.2354) in 1816. This remains the standard weight of a British gold sovereign coin today. Although, the British sovereign continues to be made today it was discontinued for many years at a couple of points in history. 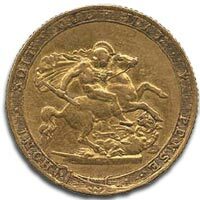 From 1604 to 1817 other coins were made in place of the British gold sovereign coins. The coins that were produced instead included guineas, Laurels, and Unites. British gold sovereign production was also discontinued between the years 1933 and 1956. Though sovereign coins have been minted over a billion times throughout the last few centuries that number is actually misleading, because during Victorian Times the Bank of England would remove half sovereigns and worn sovereigns from circulation. They would take these worn coins and make them into new coins, which means there are far less British gold sovereigns in existence. Coins were also used by Britain to pay debts to other countries and when the other country received the sovereigns they would melt the coin down for the gold. So this also reduced the number of sovereigns existing today. What this means is that there are not very many British Gold Sovereigns for avid collectors. In fact, it’s estimated that only about 1% of coins that were produced are still in mint condition. The scarcity of the coins, along with their rich history, makes sovereign coins very valuable to many collectors. Emergency Money … Perhaps the most interesting part of Gold Sovereign history is the use of the coins as "emergency money" during World War II. Air Force fighter pilots, both British and American, carried British Gold Sovereigns in case they were shot down during battle and coins associated with this piece of military history make those particular sovereigns very valuable to the knowledgeable coin collector.